'Star Wars: Episode VII': Peter Mayhew's in? With casting still underway, J.J. Abrams' "Star Wars: Episode VII" is ready for action. 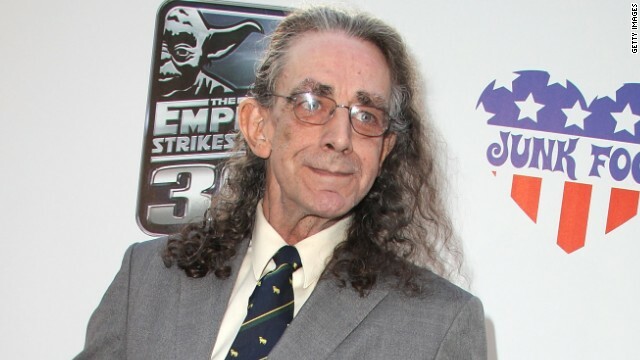 And it'll reportedly have at least one old friend: Peter Mayhew. According to the Hollywood Reporter, the actor who famously portrayed Chewbacca in the original "Star Wars" trilogy is reprising his role for 2015's "Star Wars: Episode VII." Lucasfilm has previously hinted that we could see some of the former "Star Wars" stars returning to the new project, with Mayhew being the latest round of casting rumors. It seems that "Star Wars: Episode VII" is also already filming, as Disney Studios Chairman Alan Horn recently told THR. The movie previously had a target production start date in May. Yet with the script, which has changed hands from "Little Miss Sunshine" scribe Michael Arndt to Abrams and Lawrence Kasdan, in a solid place, Abrams and crew are forging ahead with or without their new leads. "It's all about the screenplay; it has to be screenplay, screenplay, screenplay," Horn said. When asked if the script was where it needed to be, he replied, "It actually is now." A few weeks ago, Lucasfilm revealed that "Star Wars: Episode VII" would take place roughly 30 years after "Star Wars: Episode VI – Return of the Jedi," and would focus on "a trio of new young leads along with some very familiar faces." Who exactly those leads will be is still up in the air, although Horn suggests that they're narrowing the field. "Star Wars: Episode VII" is slated for a December 18, 2015 release. Hope we'll have as much excitement watching Episode VII as the producers and writers have developing it. Lucas must have turned over some guidance for future episodes. In a 1979 interview Lucas said he'll produce 3 trilogies, therefore he must have written at least a treatment to that effect. After Episode IV turned into a hit he hinted at even more future prequels and sequels, but that sounded a little less serious. Somewhere along the way he must have gotten burnt out. The force has a new home with Disney now.